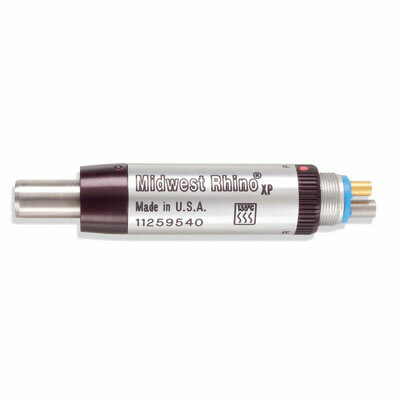 The DENTSPLY Midwest Rhino XP low-speed air handpiece has a responsive high-torque vane motor, which allows for a smooth start up. In addition, the 360-degree swivel of the angle makes it easy to maneuver intraorally and helps to minimize stress on the hand. The Midwest Rhino XP has an rpm range of 0 to 8,000. I enjoy using my Midwest Rhino XP hand piece. It ihas been trouble-free and smooth working.